LET’S PLAY WITH SHAPES ACTIVITY: WHEN LEARNING BECOMES FUN! 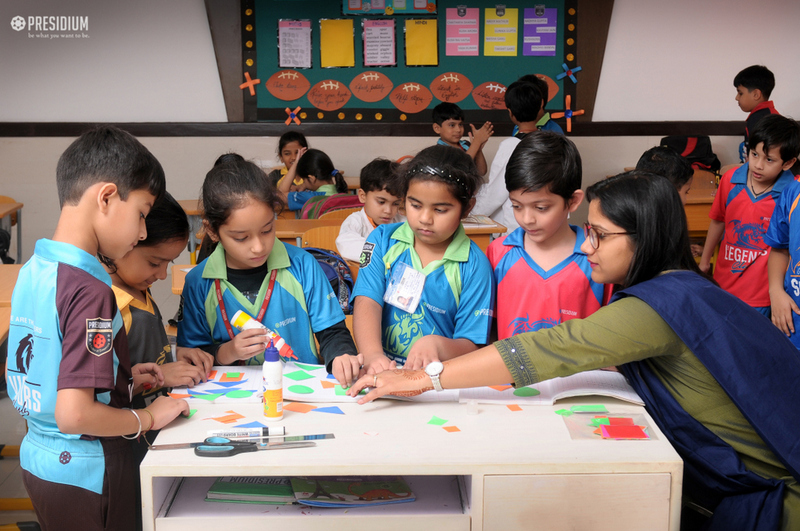 HomeNews and UpdatesLet’s play with shapes activity: when learning becomes fun! 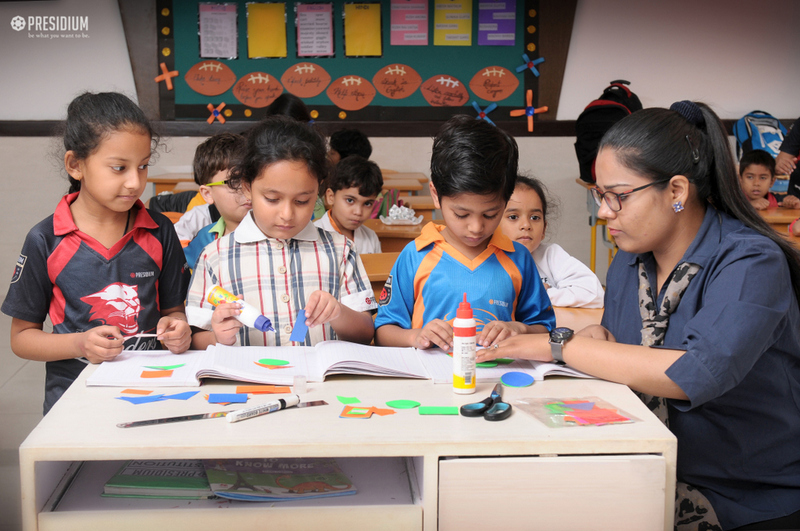 The ability to accurately identify shapes is a foundation for mathematical, analytical and creative skills. 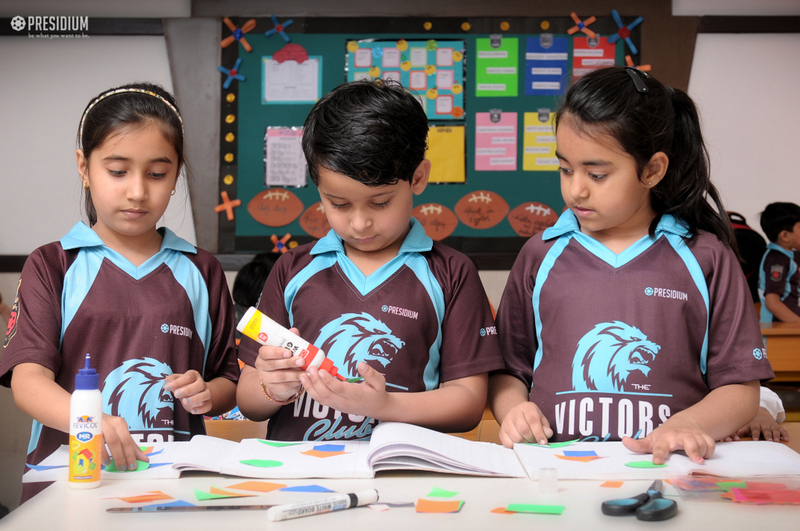 In order to build a strong foundation, Let’s Play with Shapes Activity was organized for grade 3 in Presidium, Raj Nagar. 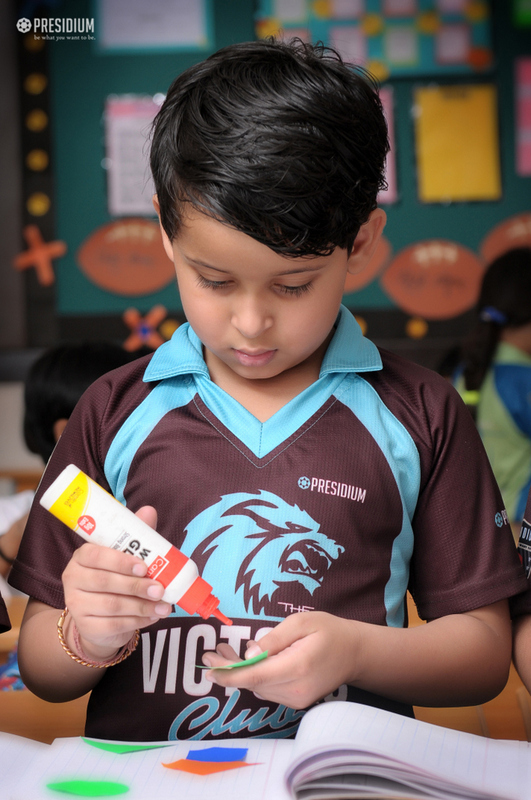 Students were engrossed in creating beautiful things with different shapes which showcased how smoothly their skills were being brushed. They made puppets, dolls, joker, houses, etc. This activity aimed at helping the young Presidians to learn basic properties of geometrical figures and it was indeed a fruitful experience for them.